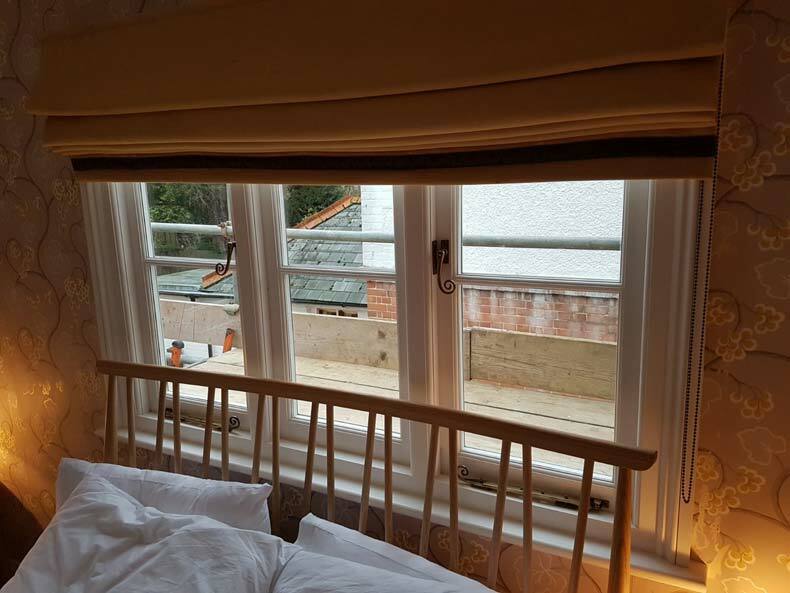 When planning joinery projects, the Spittlywood team will do all within our power to ensure your new installation fits seamlessly with its surroundings, after all the purpose of our work is to improve our customers homes original features. 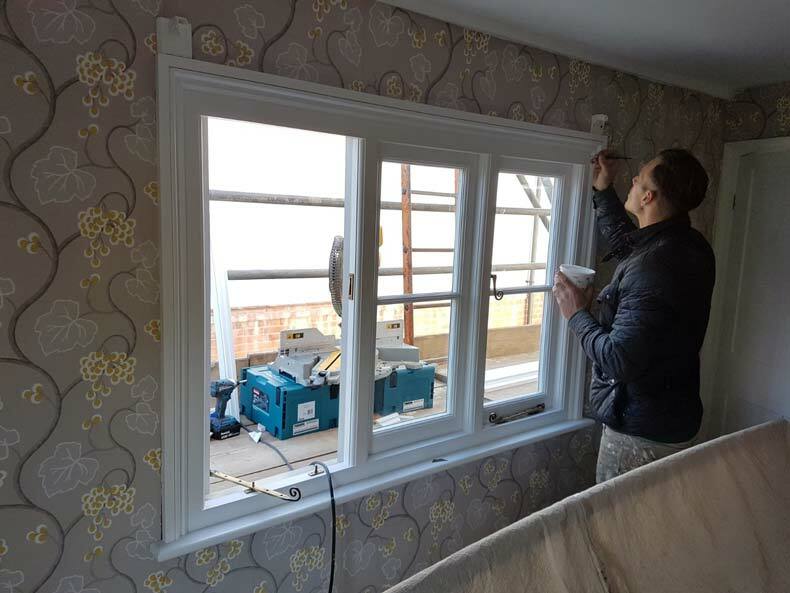 As such we will work with a variety of woods and fitments to ensure your new windows are in keeping with your homes existing style, our considerable experience enables the Spittlywood team to recommend the correct wood and fixtures to create your perfect installation. The wood used in these windows is the Hardwood Sapele a member of the Mahogany family Sapele hails from tropical Africa in terms of Strength and durability Sapele is not dissimilar to English Oak. The fact that we intended to paint the windows influenced our choice as Sapele reacts well to paint due to its fine grain. Another aspect that guided our choice is the fact that Sapele is highly rot and weather resistant which in turn makes the wood an ideal choice for external joinery applications such as windows and doors. The paint finish you see here is factory applied, Satin white on the inside and a Satin light green outside. The windows are all double glazed; even when working on period properties it is possible for us to help improve energy efficiency, most window types can be faithfully reproduced with the addition of double glazed units. To create the correct finish, the team opted for antique brass ironmongery. 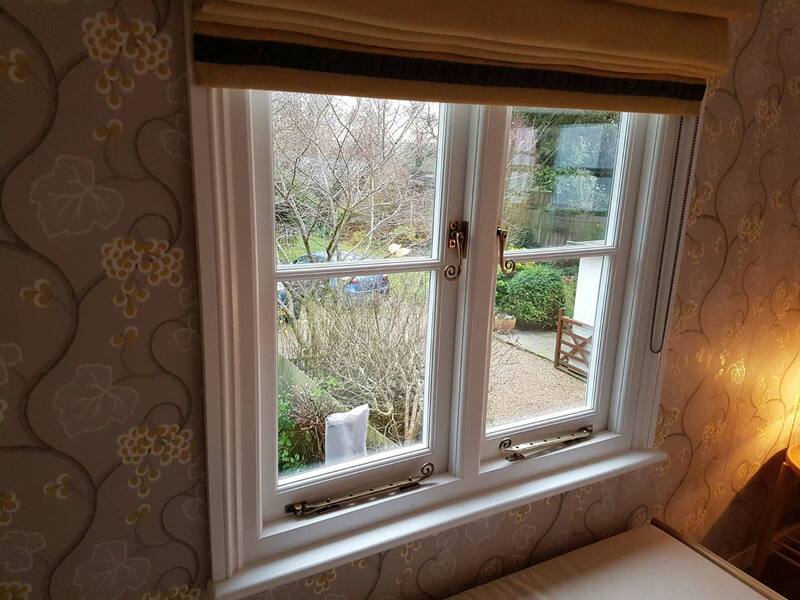 Should you be considering replacing windows in your period or listed property the Spittlywood team have considerable experience in this area and will work with you to faithfully reproduce and where possible improve your homes original features. Feel free to contact us.